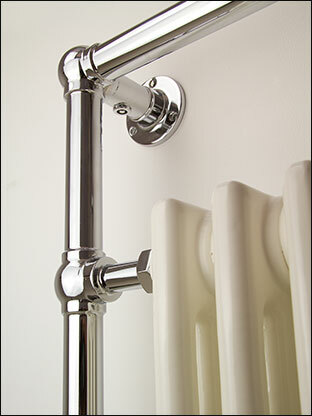 A British made towel warmer that is designed to be wall mounted in a traditional style. 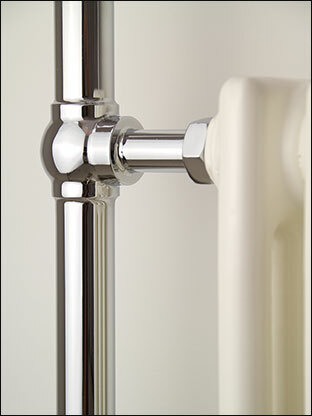 This heated towel radiator is made in superior solid brass tubing with a chrome, nickel and gold plated finishes. 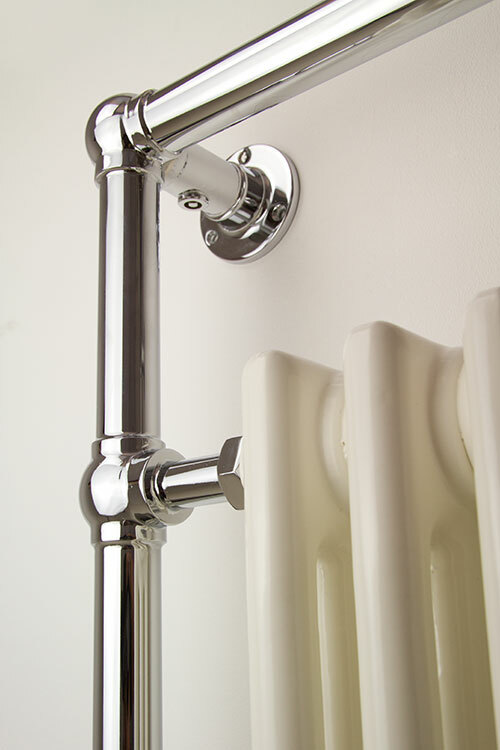 Each towel warmer has a white central column radiator giving higher heat outputs that are required in some bathrooms. 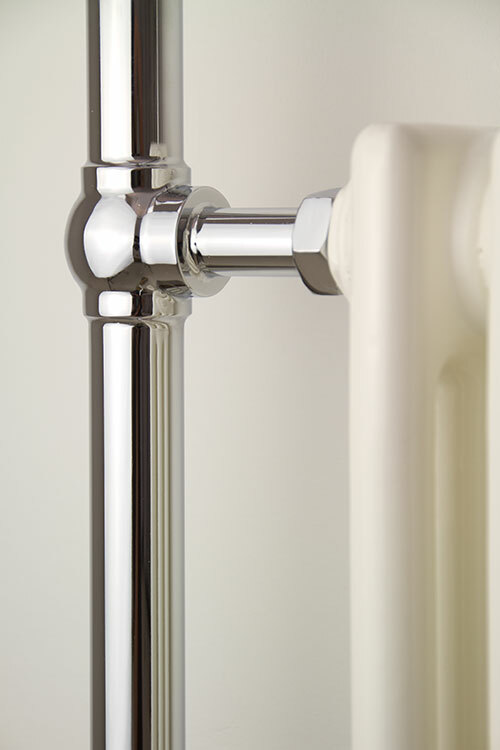 Available for central heating, dual fuel or electric only heating systems. Please note dual fuel and electric only versions are supplied with a hidden electric element. 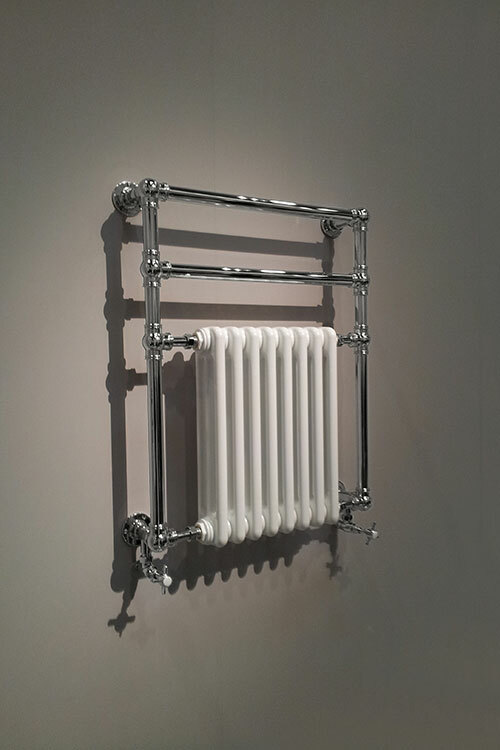 The Charleston heated towel warmer is available in the finishes of chrome, nickel, gold, copper and black chrome. Click on colours for prices. * Plated onto superior brass. * Also dual fuel & electric only. 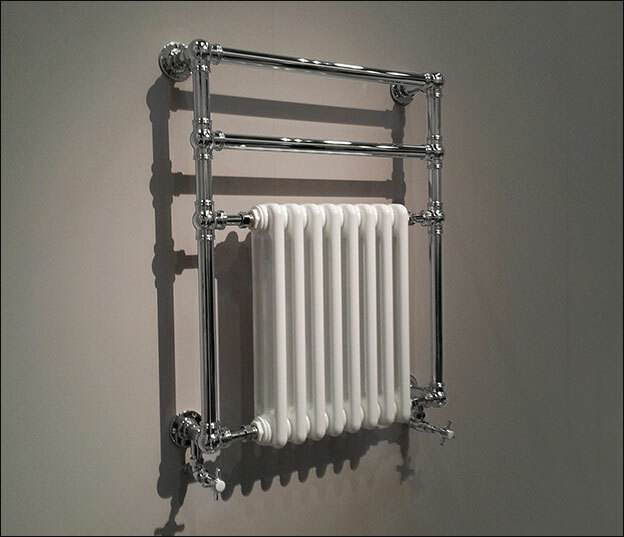 * Chrome, nickel & gold finishes.